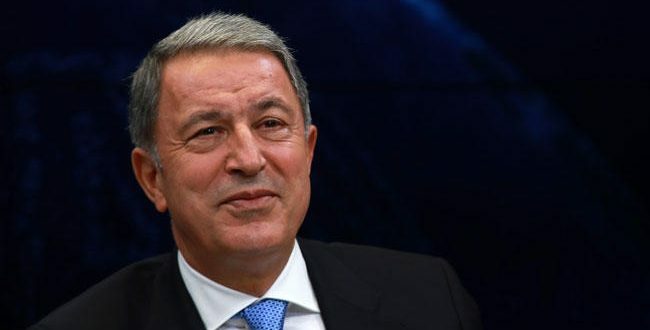 “The Aegean and Cyprus belong to Turkey,” said Ankara’s Defense Minister and former top military Hulusi Akar. His claim come just hours after the Greek Foreign Minister said that Turkey has rights in the Mediterranean Sea. 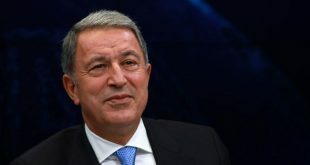 The Turkish Defense Minister was addressing a crowd just a few days before the local elections and was praising the campaign Blue Motherland – when everybody knows that Turkey is red and not blue. 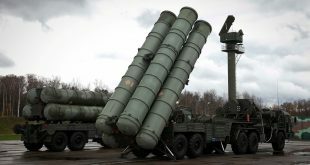 “Although we are in a phase that we are struggling to find ways to defuse tension… [Akar] surprised us with something new, with things that are not based on reason,” Apostolakis said. “It is the principle of Greece that we respect international law and the treaties. When these principles are questioned, we have to be concerned,” he added. “I do not think that [Akar’s] statements can be taken seriously. [Turkish officials] have to get serious and watch what they say. 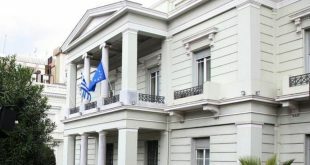 They shouldn’t shoot off fireworks just to make an impression,” Apostolakis said according to kathimerini. But why bother and give a serious respond to a Defense Minister who pulls out of his pocket some 300,000 square kilometers [correct would be cubic meters] of water and adds them to his country territory? KTG believes the most appropriate response to Hulusi Akar who loves the Deep Blue Aegean and Mediterranean Seas but has to swim up to 3 nautical miles from the coast is →→→this! I thought Turkey belonged to the Hittites! Irredentist Turkish nationalist extremists have no rights to the Aegean other than areas not covered by 12 mile nautical limit. Their claim that they own all of Cyrpus and Aegean is effectively an act of war against Greece. How sad it is that our government is run by far leftist extremists that are such cowards they can’t even defend Greece’s sovereignty. “Greek” leftists claim to be against extreme nationalism but what they really are is COWARDs that appease extreme nationalists in other states. – support calling Skopians “Macedonians”. – support “Turkish rights to the Aegean”.